Christmas break is typically a time one spends with family and loved ones, which is probably why I got so many looks of sympathy when I told everyone I would be spending my whole break here in London. This is something quite common though for international students, so I was far from alone! Would it have been nice to spend Christmas at home with my family? Absolutely! But, when else in my life am I going to get to spend Christmas in London?! To me, it would be crazy to turn that chance away. And guess what? I am beyond glad I am getting to spend my whole Christmas break here. 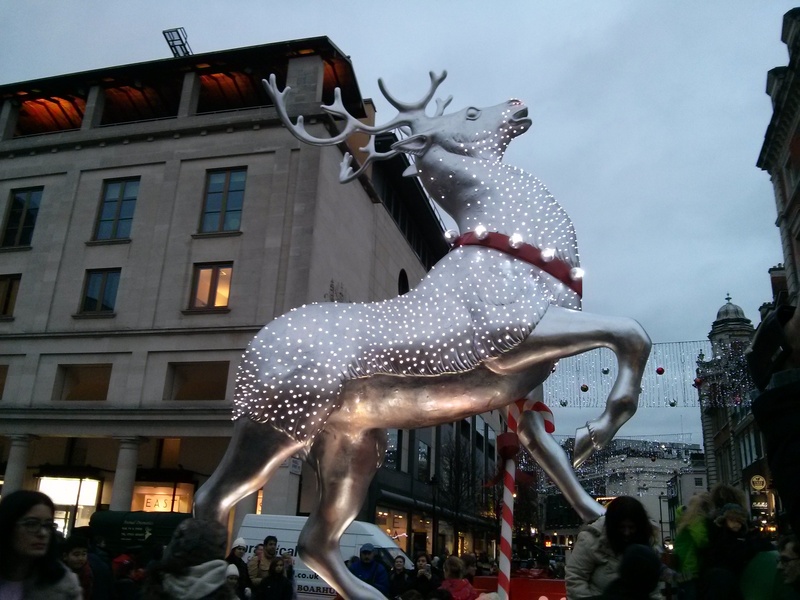 The city has so much to offer at this time of year, like Christmas fairs and markets. 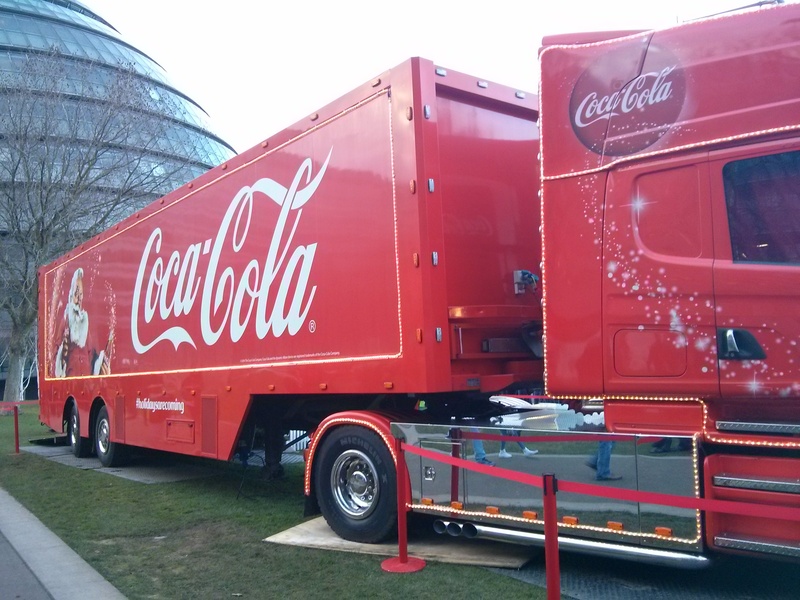 First stop was Southbank Centre Market! 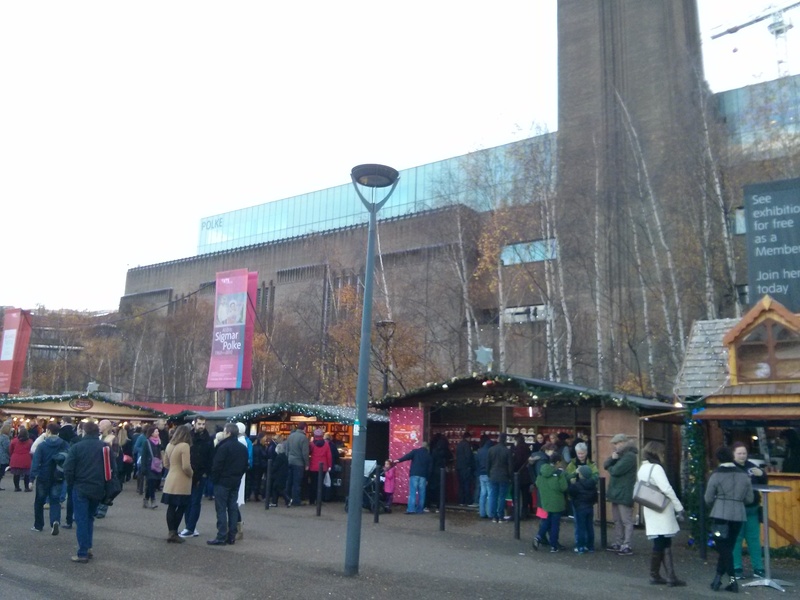 Southbank Centre Market is a fun one to go to first! 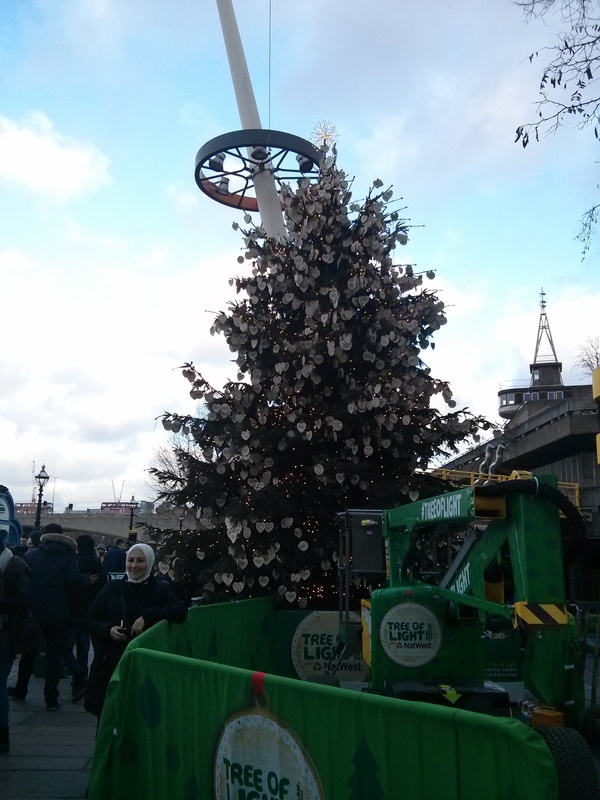 It’s fairly large, has plenty going on, and is right next to the London Eye. Plus it’s got plenty of books right next door! 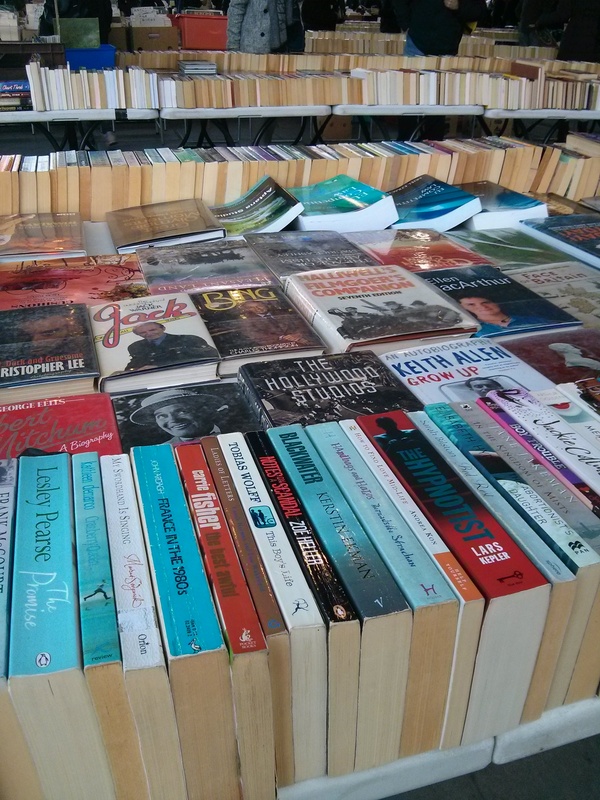 And right next door was the Southwark Book Market, where I got to browse through hundreds of books! After market #1, I just started walking east along the Thames until I hit the next one. I got to see some delicious cinnamon rolls get made! 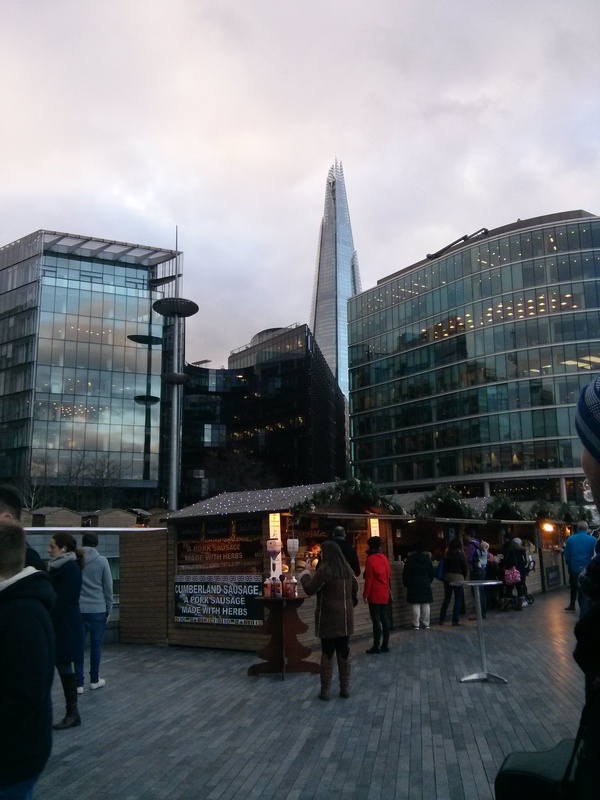 Even further East along the Thames, I managed to find the More London Christmas Market, which ended up being the most exciting! 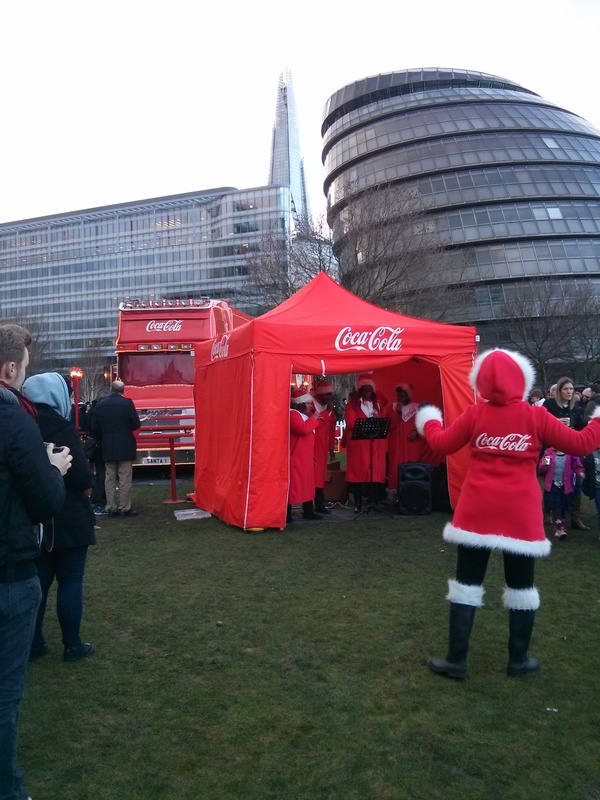 Because after I got done admiring the views and the marketplace, I stumbled upon a Coca-Cola party in the park! 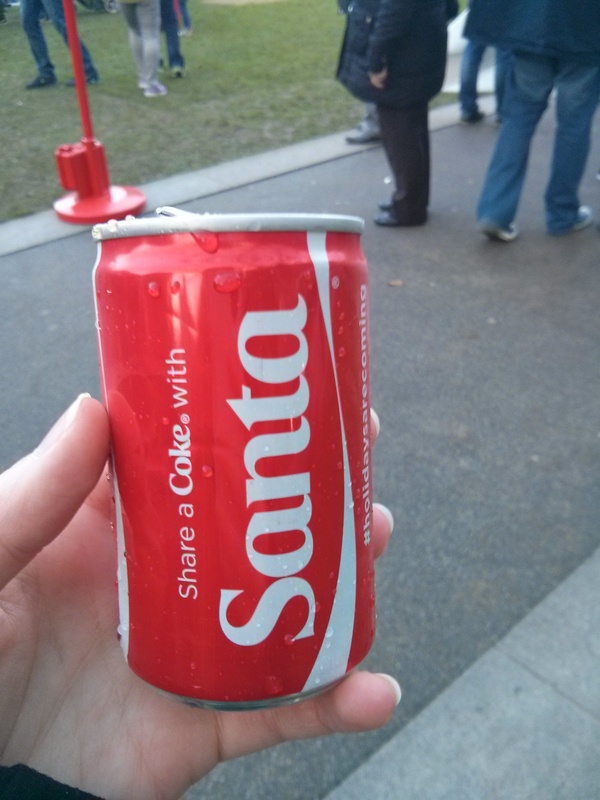 And I managed to get a free can of Christmas cola! 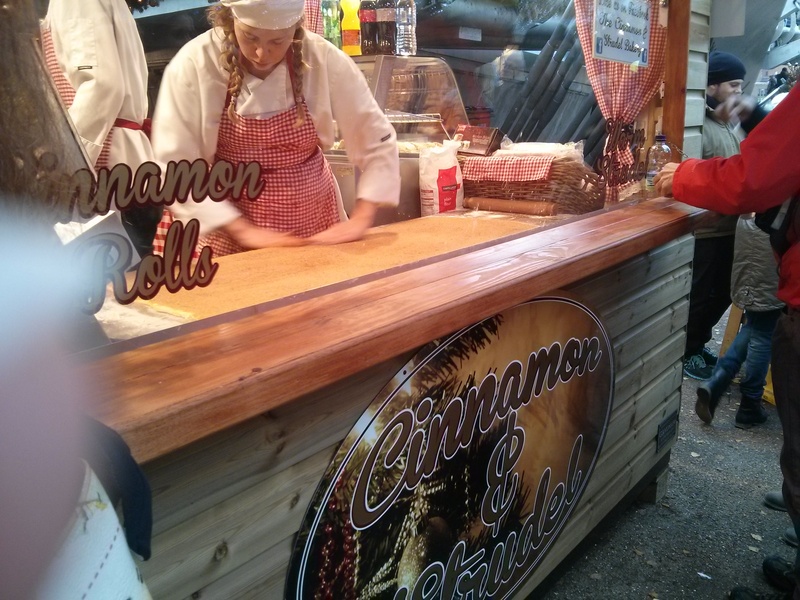 The Christmas markets are a great option for delicious food and unique gifts. 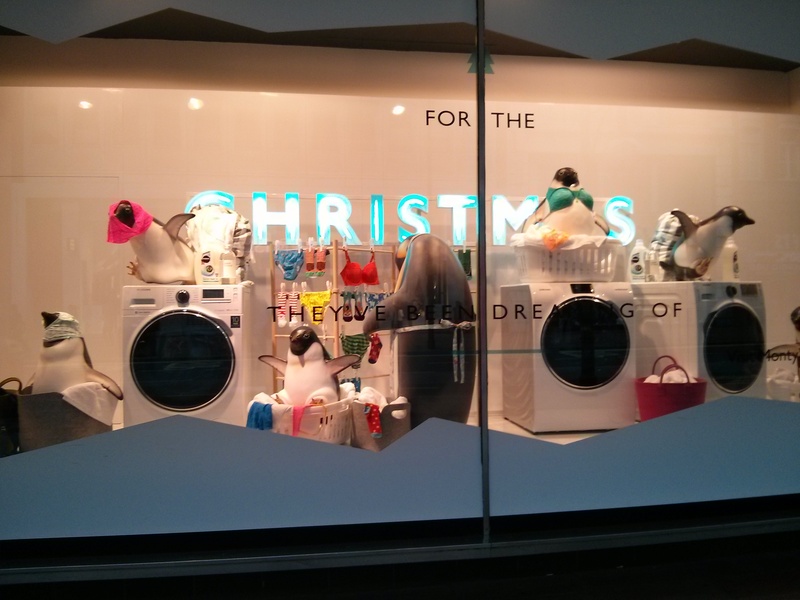 For other shopping options though, there is always a trip to Oxford Street not far away! 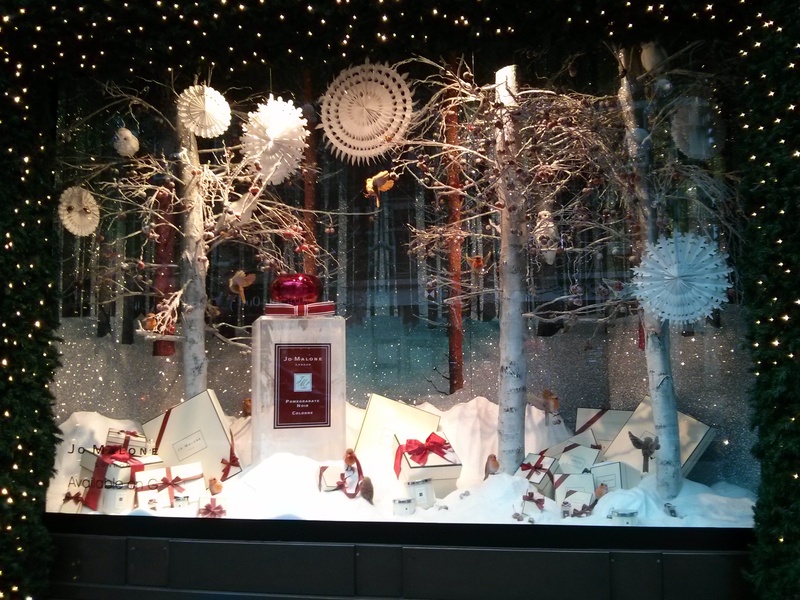 And if there’s one thing I found that Oxford Street is good at, it’s Christmas window displays! 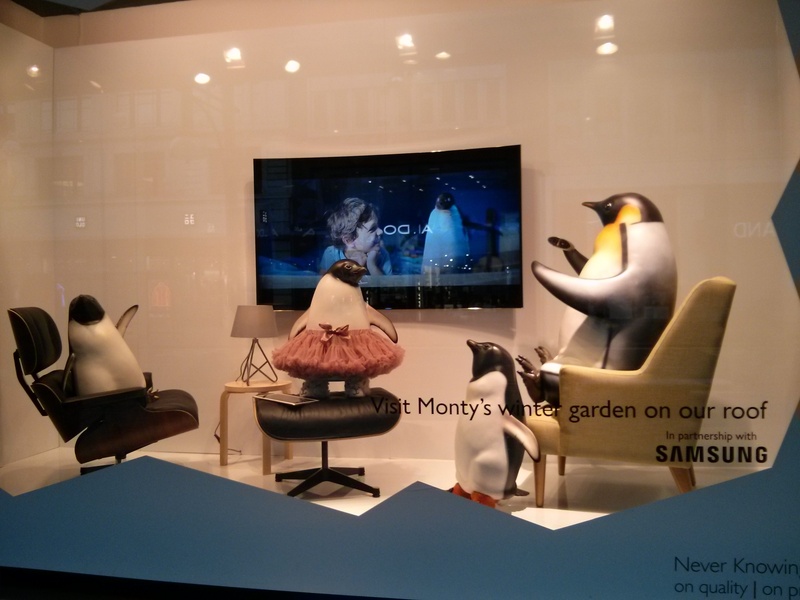 And John Lewis featured plenty of Monty the Penguin! 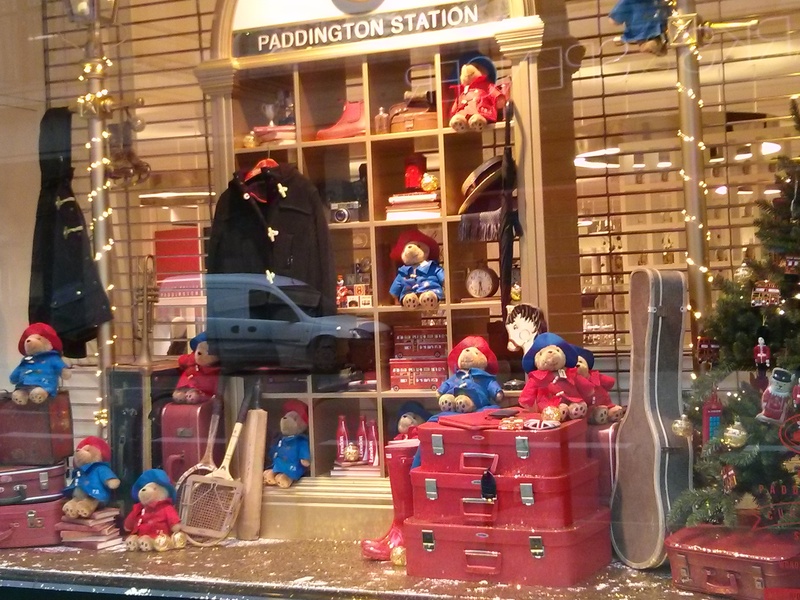 And of course, Covent Garden! 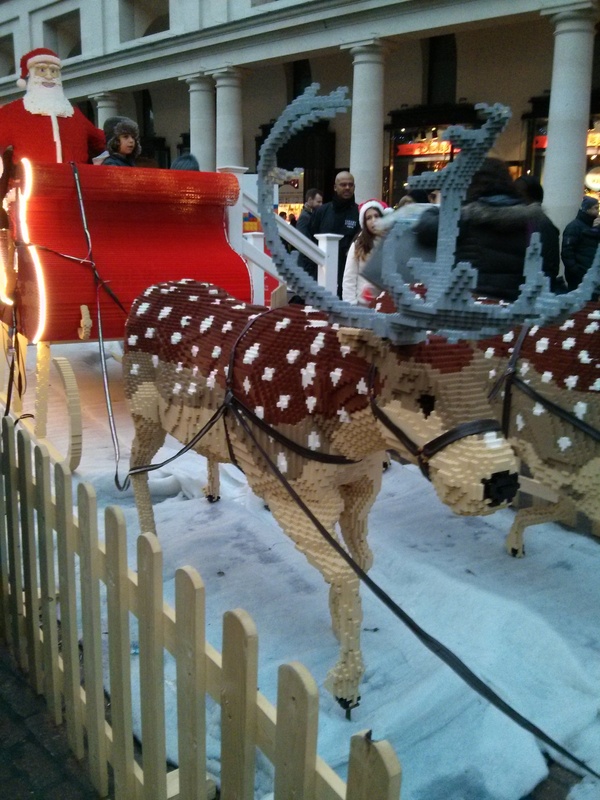 Lego Santa sleigh and reindeer! 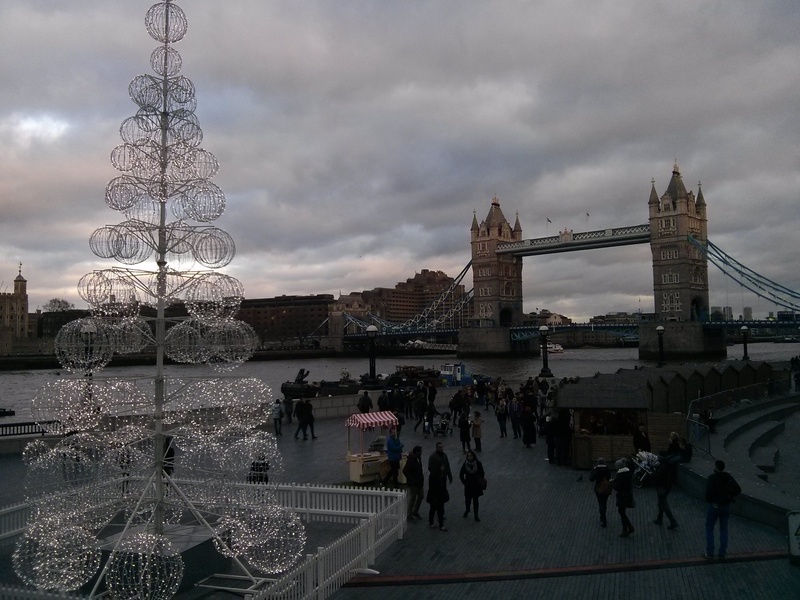 Along with all of the beautiful lights and displays London has to offer, Christmas day itself was very enjoyable as well to spend just walking around the city and taking in the views! And guess what? After spending money on presents to send back home, it doesn’t cost a penny to go for a walk and enjoy all the lights and decorations! I hope everyone’s Christmas season is as enjoyable as mine was this year. And if you end up here during Christmas break, I do hope you go out and take advantage of all the holiday celebrations that the city has to offer! 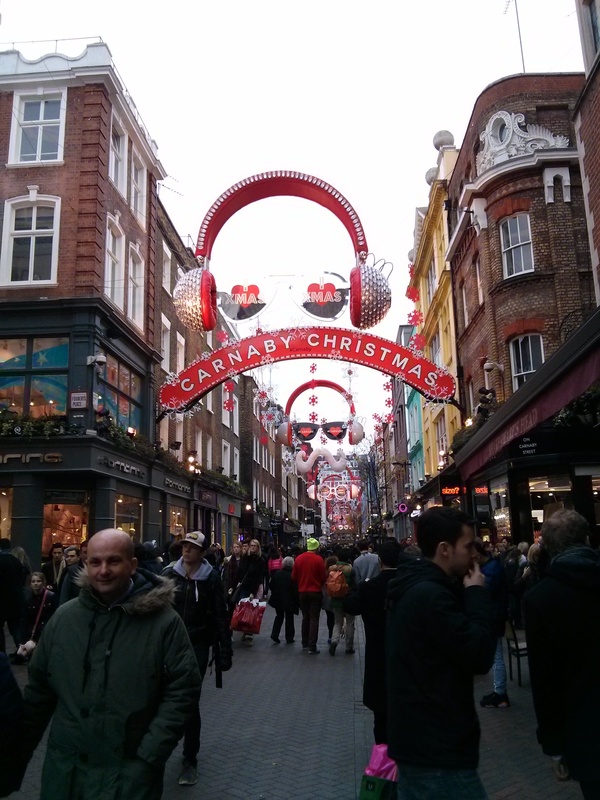 This entry was posted in Christmas, London, Study Abroad and tagged Christmas, Christmas Markets, London, Study Abroad. Bookmark the permalink.